In this example case study, a child suffered a broken arm after falling from a horse owned and run by the defendant. The cause of the fall was identified as the defendant not adequately supervising the child whilst she was riding the horse. 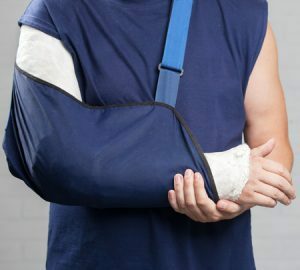 When the compensation claim was lodged with the defendant they did not contest liability, however, there was negotiation on the value of the broken arm compensation settlement. How Common Are Horse Riding Accidents In The UK? Horse riding can be a much more dangerous than many people realise. According to statistics compiled by the British Horse Society, between 2010 and 2017 38 horse riders and 222 horses were killed whilst riding on Britain’s roads. Figures also showed that the number of incidents reported have increased in the year prior to this report as a result of the organisations ‘Dead Slow’ campaign. Horse riding can be dangerous and accidents can result in a variety of very serious injuries including broken bones, a variety of serious head injuries and even spinal injuries. Horse riding injury claims can include a variety of different injuries. In this case, the claimant suffered a broken arm with consequences which could last until the claimants 40’s or beyond. What Injuries Were Sustained In This Case? The horse riding accident caused the claimant a broken arm. The break was in the child’s elbow joint and required surgery to fix the break and repair the joint. As part of the broken arm treatment, doctors inserted what are called ‘Kirschner-wires’ into the elbow joint. These are a type of wire which is used in the repair of elbow joints and were first used in 1909. Due to the nature and severity of the injuries suffered, as well as the claimants age, the horse riding injury claim had to be delayed for several years. This was to allow medical evidence to be collected which would further support the claim. It was determined that to fully understand and assess the longer-term impact of the injuries suffered, the claimant would require further examination when they became a teenager. This would allow the bones to grow and provide a much more accurate assessment of their condition. Other evidence showed that the claimant could still have some reduced functionality in the arm into their 40’s, though this was thought to be very minor. In this case, the defendant did not dispute their liability for the injuries suffered by the defendant. Subsequently, solicitors acting for both parties entered into negotiation to agree a settlement award between them. Initially the parties were not able to agree a settlement. The main point of contention between the defendant and claimant was whether the claimant would be disadvantaged when she entered the workforce at a later date. When the case progressed to court, the judge found that the claimant would be disadvantaged. The claimant sued the defendant with the claimants father acting as a ‘litigation friend’. The claimant maintained that they had suffered a permanent deformity in the broken arm/ elbow as the end of the bone had become much more prominent. In this case, the broken arm settlement proceeded to a full court hearing. The judge hearing the case awarded the claimant a combined award of general damages for the injury itself, as well as special damages. The general damages award was set at £16,125 which was awarded for pain and suffering, as well as their loss of amenity. The claimant was also awarded £4,540 in special damages for their future disadvantage on the job market. This took the overall financial losses to £22,004. Legal Expert can help claimants from across the country to make personal injury claims using our no win no fee specialists. If you have been the victim of an injury which was not your fault, speak to the specialists at Legal Expert today. No win no fee services mean that you can rest assured that you won’t have to face any financial hardships or costs as a result of the claim. Claimants will not have to make either ongoing or upfront payments for the solicitors services. The no win no fee solicitors who work with Legal Expert can help claimants with broken arm compensation claims. No win no fee means that if your claim is not successful, you won’t have to make any payments or be charged fees or costs. If successful, the solicitors fee will be part of the claim award. Typically, this fee will be 25% of the total award or less. Legal Expert believe in taking the pressure off claimants, allowing them to concentrate on their recovery. To find out more information about how the panel of specialists legal solicitors we work with at Legal Expert, speak to us today. You can get in contact with Legal Expert by emailing us on info@legalexpert.co.uk, including the type of claim you wish to make. You can also talk to Legal Expert by calling us today on 0800 073 8804. Alternatively, you can use our online contact form on this page to reach out to us today. View our guide to arm injury claims and find out how to make a successful broken arm personal injury compensation claim. Horse riding can be a dangerous activity and can lead to very serious injuries to riders. View our guide to horse riding injury claims. find out how to make a claim for a personal injury suffered by you as a child, or on behalf of a child in your care with our guide to child accident claims.